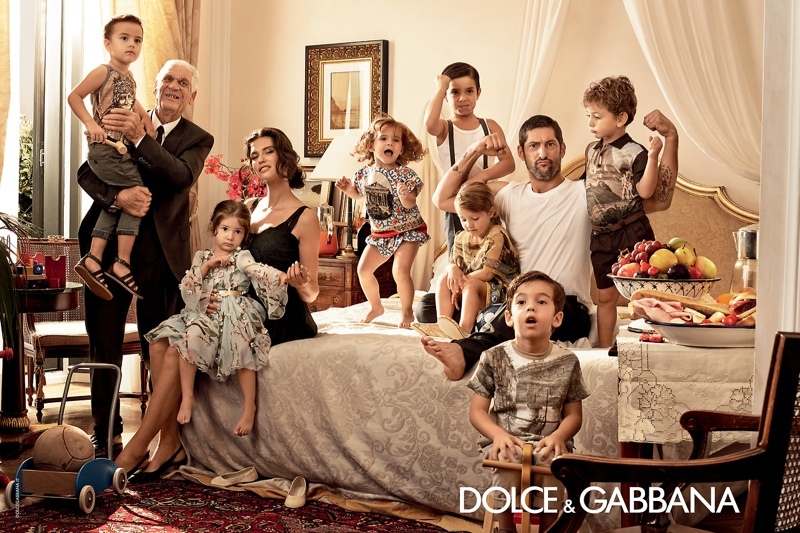 Sicilian Party – Lensed by designer Domenico Dolce, models Eva Herzigova, Catherine McNeil, Bianca Balti and Marine Deeleuw pose for Dolce & Gabbana’s spring 2014 campaign. Capturing the story of a Sicilian themed party, the advertisements feature the girls alongside male models including Adam Senn, Evandro Soldati, Noah Mills and Tony Ward; sporting the Italian brand’s coin and flower prints. Aw man….but I do like the bedroom photos. This is one of the greatest campaign! You can not inspire the 10 most recent advertising campaigns based on their own childhood memories. Make an effort, one cut in the past. I like the theme, but the execution is ridiculous. Random poses in cutout galore! I love the energy in these, but yeah, some of the poses are too over the top. Still…I like the kids photos and I’m looking forward to seeing these in print.